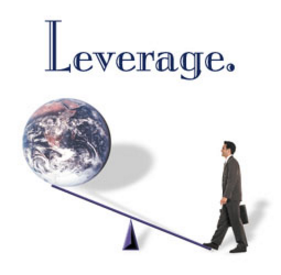 Using leverage to get what you want. From this point forward, I pledge to explain to all of my clients, both buyers and sellers, about the effects on our transactions brought about by leverage. In this sense, leverage is simply the ability to nudge the other party to accept your terms, suggestions or acquiesce to your needs. Certainly I don’t mean that we’re going to strong arm anyone. But as we negotiate with so many parties in every transaction, our clients expect a great deal from us as their agents. One must realize that our abilities and talents are inescapably linked to leverage. Here is the best example I can think of. Here in Texas we have an option period, often 10 days, during which the buyer has the “unrestricted right to terminate” the deal. This is our due diligence timeframe. Obviously, this is our period of greatest leverage for the buyer. Here we ask the seller for repairs or repair compensation. We have an enforceable contract, but we can terminate where the seller cannot (without being in default). This termination option is the ultimate leverage. Another example case came up the last month. My buyer decided in mid-stream to switch lenders to save a few dollars. Initially we were using one of my “preferred lenders”, meaning one that I know, trust and with whom I have a working relationship. I have some leverage with the preferred lender because of the ongoing business relationship. The new lender, with whom I have no working relationship, returns my calls in 24 – 36 hours. Why so long? No leverage. We must realize that we have leverage with title companies, inspectors, and a wide range of other vendors and service providers. This leverage is crucial to our clients and as such, we need to make our clients aware of the benefit they gain in working with agents that can provide business relationships that benefit their interests. Of course we must be careful of not being too insistent regarding directing our clients to different service providers. However, I believe that when we explain leverage to buyers or sellers we can be more effective in showing the value of our experience, our contacts and our ability to effectively negotiate and navigate the real estate transaction.